Who doesn’t like popcorn? 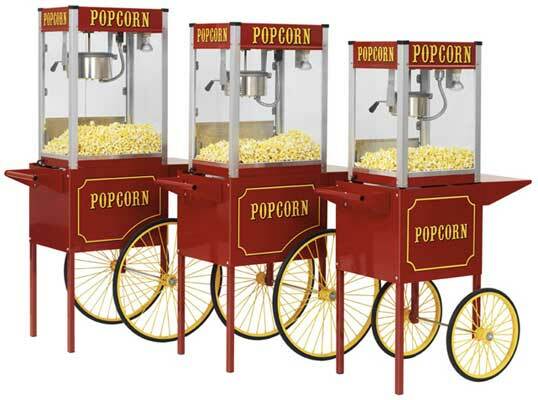 Our colorful red attention getting popcorn carts are sure to be a big hit at any event or party you are hosting in the Las Vegas area. Call today and reserve one or two for your event.